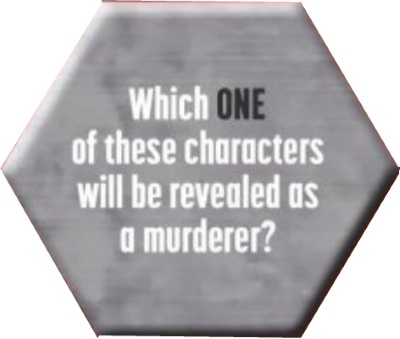 A few weeks ago, I posted my guesses as to the victims and, I’m sad to say, one of them – Green Lantern Kyle Rayner – is on that cover. 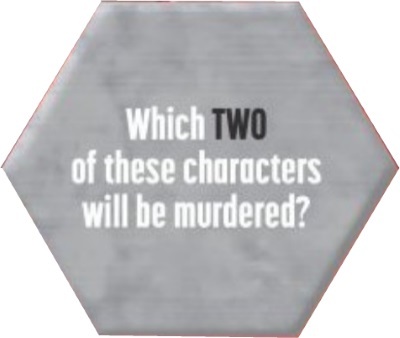 Booster Gold and Harley Quinn have long been identified as suspects in the murders, so they can likely safely be eliminated. Red Robin recently spent months imprisoned by Mr. Oz (and thought to be dead by Batman) which would make his death probably unlikely. 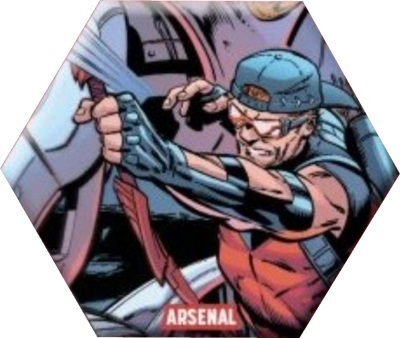 Arsenal was just revealed to possibly be returning as a cast member of a revamped Red Hood and the Outlaws … so there’s that. 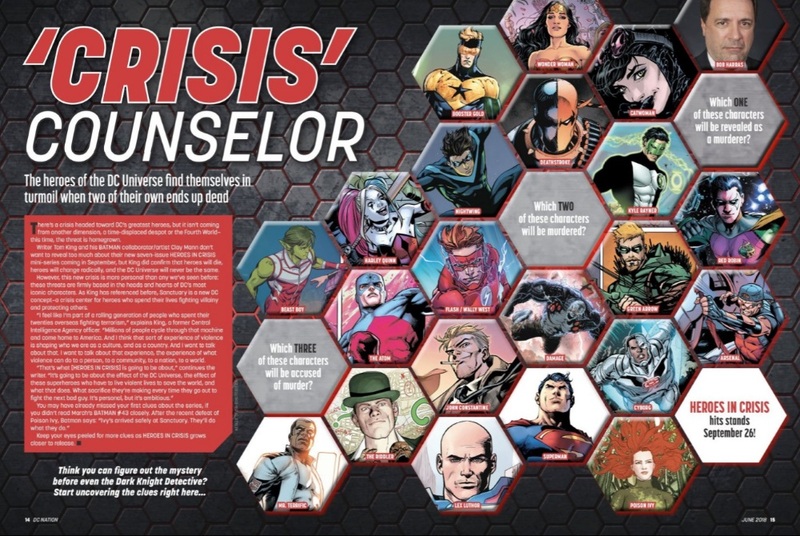 So that just leaves Cyborg and Kyle; can we really see DC killing its major African-American hero instead of a guy who has multiple other people running around with the same power? Especially now Grant Morrison’s taking over Hal Jordan’s series. Sorry, Kyle, I think your days are numbered. Oh, and I got Booster right as being one of the accused, as well. 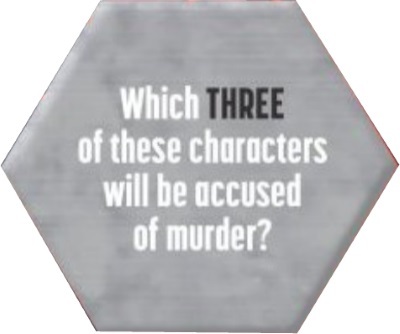 Or at least miniature pictures of characters. Sort of. A little detail on the cover which always appealed to me for some reason. Posted on Friday, February 10, 2017 Monday, October 15, 2018 by GaryPosted in UncategorizedTagged Aquaman, Atom (Al Pratt), Blue Beetle (Ted Kord), Booster Gold, Captain Atom, Crimson Fox, Elongated Man, Fire, Flash (Jay Garrick), Flash (Wally West), Green Lantern (Guy Gardner), Green Lantern (Hal Jordan), Green Lantern (John Stewart), Heckler, Ice, Metamorpho, Monarch, Power Girl, Rocket Red, Waverider. 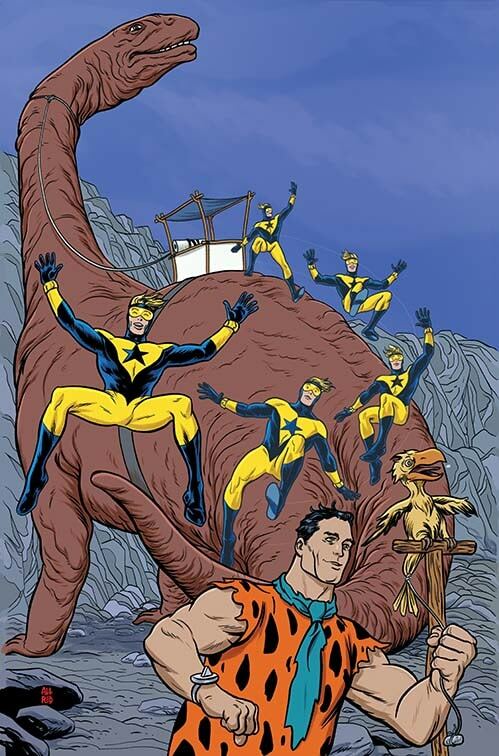 As much as I’d like to read a new Booster Gold story, I’m not going to be forking out for the Booster Gold/Flintstones annual next year . 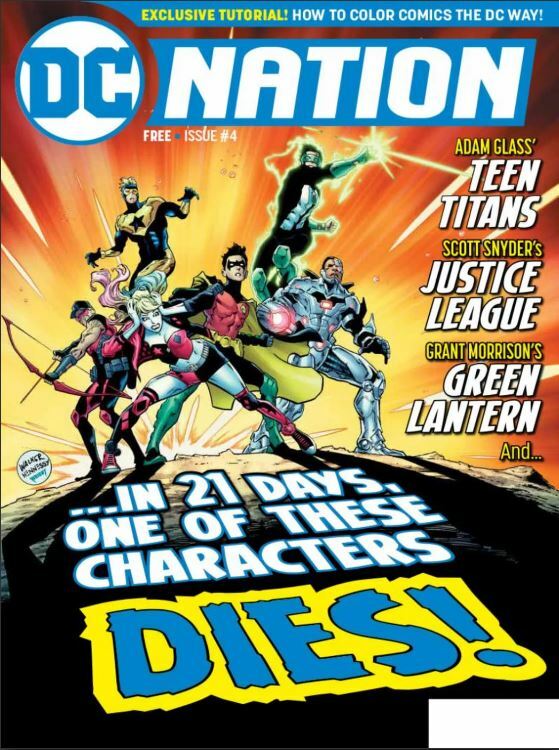 . . nor the Adam Strange/Future Quest, Green Lantern/Space Ghost, or the Suicide Squad/Banana Splits annuals. Never been a Hanna Barbera fan. Now if it was Green Lantern/Marvin The Martian I’d be interested . . .
Posted on Tuesday, December 13, 2016 Monday, December 12, 2016 by GaryPosted in UncategorizedTagged Booster Gold.